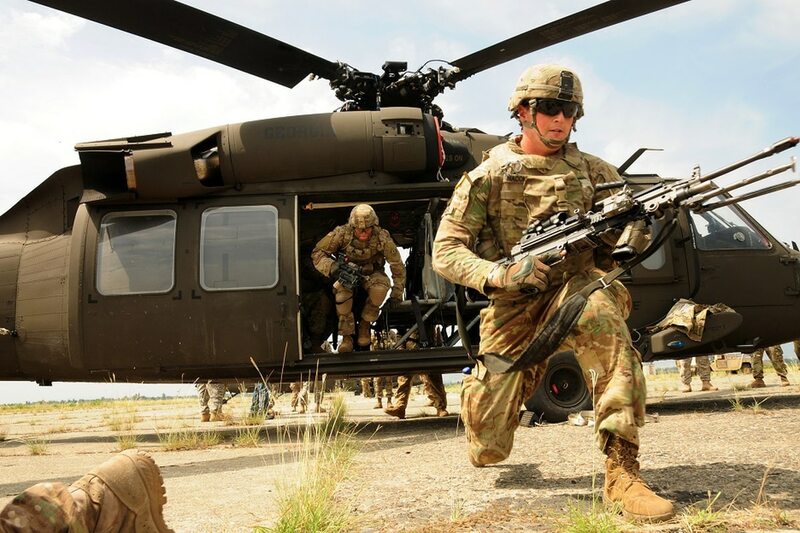 WASHINGTON — Senators gave final approval to the annual defense authorization bill on Wednesday, sending the $717 billion budget package to the White House to become law in the next few weeks. The move marks the 58th consecutive year Congress has approved the military spending policy measure and the earliest that lawmakers have finished the work in 41 years. Typically, lawmakers labor until late fall before reaching agreement on the legislation. It sets the military pay raise at 2.6 percent starting next January, adds 15,600 more troops to services’ overall end strength, and boosts aircraft and ship purchases above what the White House had requested. It also gives lawmakers a solid legislative victory to tout before voters in the lead-up to the November mid-term elections, and some parliamentary breathing room they hope can lead to progress on appropriations bills in the next few weeks. A day earlier, Senate Majority Leader Mitch McConnell, R-Ky., announced that he had reached an agreement with Senate Democrats on bringing defense appropriations legislation to the Senate floor later this month, as part of a broader effort to wrap up fiscal 2019 military spending issues before the election. The Senate vote — 87 to 10 — comes less than a week after House members similarly approved the measure by an overwhelming margin. White House officials have voiced displeasure with sections of the massive military policy measure but are expected to sign it into law later this month. The conference negotiations on the 1,800-plus-page bill largely steered clear of controversy, dropping several proposed office shutterings and executive branch limitations in favor of a more palatable final measure. But the legislation will delay delivery of the F-35 Joint Strike Fighters to Turkey amid political concerns with leadership there. It also bars Chinese telecom firms ZTE and Hauwei (and companies who work with them) from doing business with the U.S. government, a proposal that goes against administration overtures to China. In keeping with a bipartisan budget deal reached in the spring, the authorization bill calls for a base defense budget of $639 billion and an overseas contingency operations funding total of another $69 billion. The 2.6 percent pay raise falls in line with the expected rise in civilian wages in 2019, but is the largest for the military in a decade. The end strength increase — 7,000 of which is in the Army — comes after boosts in troop numbers totaling more than 25,000 over the last two years. Lawmakers included authorization for 77 new F-35 Joint Strike Fighters, 15 KC-46 Pegasus aircraft and $129 million extra for C-130 aircraft engine upgrades. The measure would also allow the Air Force to kill its JSTARS recapitalization program but does restrict retirement of the legacy E-8C Joint Surveillance Target Attack Radar System until a replacement is found. It authorizes a fourth Ford-class aircraft carrier, three Littoral Combat Ships and six polar icebreakers. The Army National Guard would get six new attack helicopters to cover existing shortfalls. The compromise measure also includes an overhaul of the Defense Officer Personnel Management Act, to allow for more flexible promotion schedules and more expansive recruiting and retention tools for service leaders. The White House’s controversial plans to build new submarine-launched low-yield, nuclear weapons were approved by lawmakers, but Congress included a requirement that lawmakers approve plans to develop or modify nuclear warheads in the future. Reporter Joe Gould contributed to this story.